The pristine stretch of coastline in this west Indian state is famous: here are the best beaches in Goa. 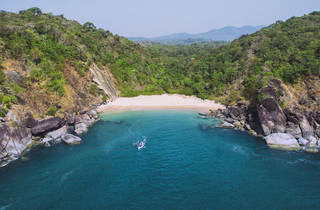 Stretching along the Arabian Sea on the west coast of the Indian peninsula, this Indian city always ranks as a top holiday destination, and with good reason: the best beaches in Goa are reason enoug to flock ere. 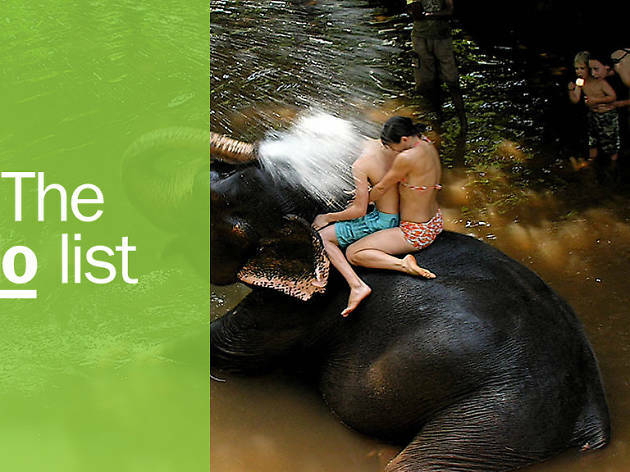 The extensive and impressive coastline of 100+ kilometres is dotted with incredible beaches, some offering a uge range of things to do—from yoga to kayaking to nightlife hotspots (you read tat right! )—while others are known for their beauty and serenity. 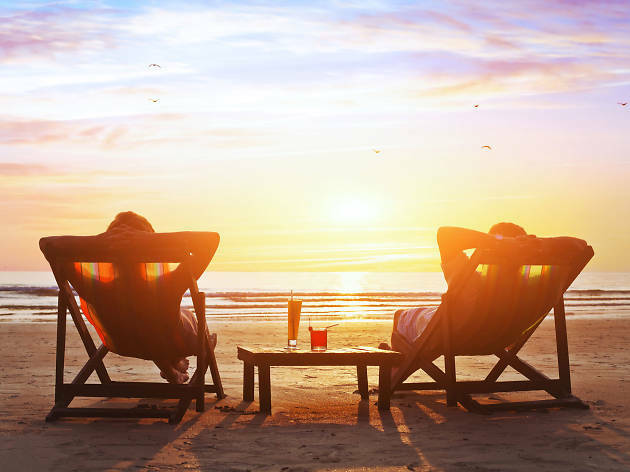 Here are some of the best sandy shores to visit in the sunshine state... don’t forget the sunblock. What is it? Two beautiful interconnected beaches that attract thrill-seeking adventurers and those looking to party. Why go? If you want action (and don't mind crowds), Calangute and its neighbouring beach Baga are for you. You can spend all day relaxing on sun lounges and dipping into the waves. And when the sun gets strong, simply wander into the beach shacks and restaurants for a cold one and some fresh seafood. Once the sun goes down, you can head to nightclubs like Café Mambo & Tito’s, which stay open into the wee hours. What is it? A slightly more subdued alternative to bustling Calangute, the neighbouring party beach. Why go? 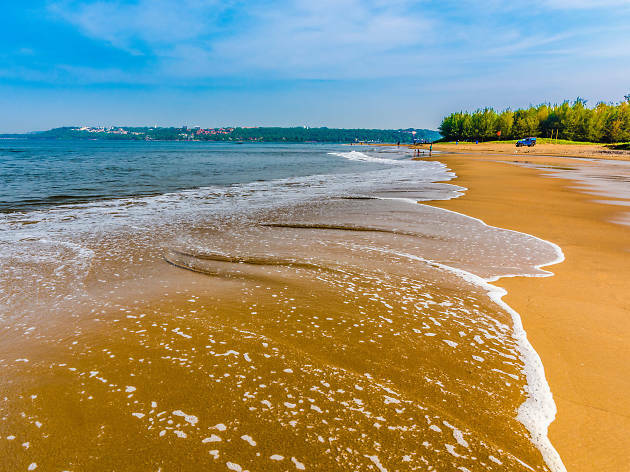 Characterized by scrubbed sand dunes, clear waters, crisp sea breeze and huge swathes of soft sands, Candolim is known for its beauty. 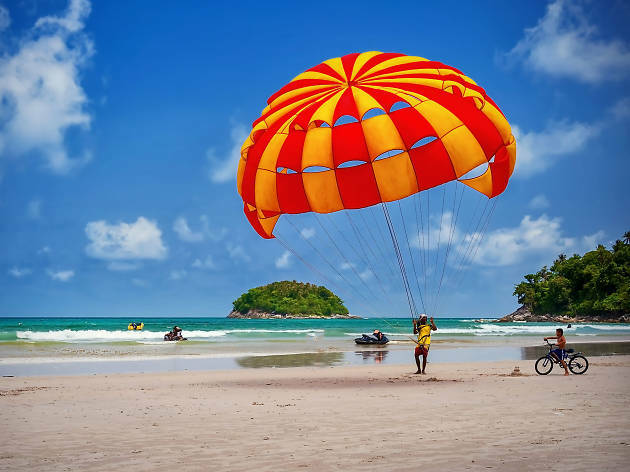 Adventurers can also get involved in parasailing, banana rides, scuba diving and jet skiing. 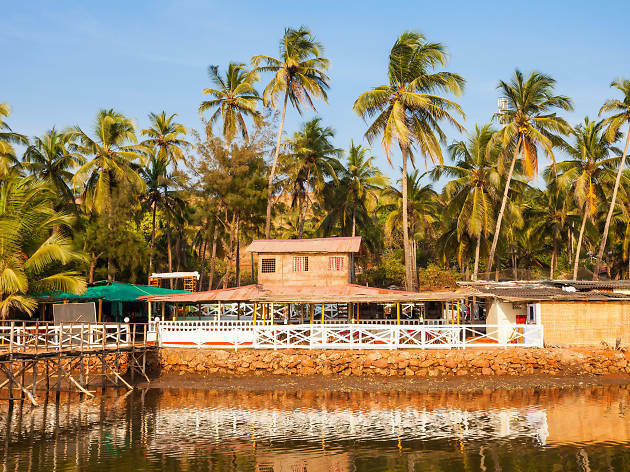 For a post-beach drink, head to the nearby shacks and quench your thirst with a refreshing cocktail made from feni, a traditional Goan spirit. Now, let the calmness flow through you. What is it? A perfect haven for a little rest and recuperation, – and yogis too. Why go? Patnem Beach is a slice of paradise for those who want to have some serious me time. There’s little in the way of hotels and nightlife; instead, embrace the chill factor and hang out at the humble bamboo huts on the beach, or take part in a yoga retreat. There's pristine sand to relax on and clear waters to swim in. While you're here, do try the delicious speciality roast New Zealand lamb at nearby bar/restaurant Nada Brahma. What is it? 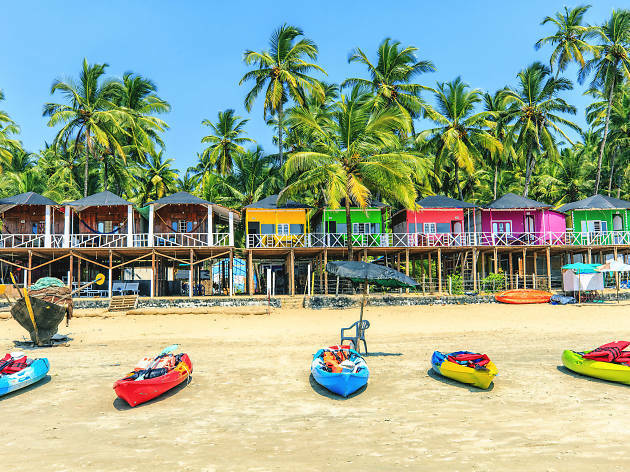 One of Goa’s most picturesque beaches, fronted by black lava rocks, miles of white sand and blue sea, plus the inevitable fringe of palm trees. Why go? If it’s gorgeous scenery you’re after, it doesn’t get much better than this. And aside from topping up your tan and enjoying the spectacular scenery, the calm sea conditions are ideal for swimming. There are also pursuits like kayaking, catamaran sailing and dolphin sightseeing trips available. What is it? 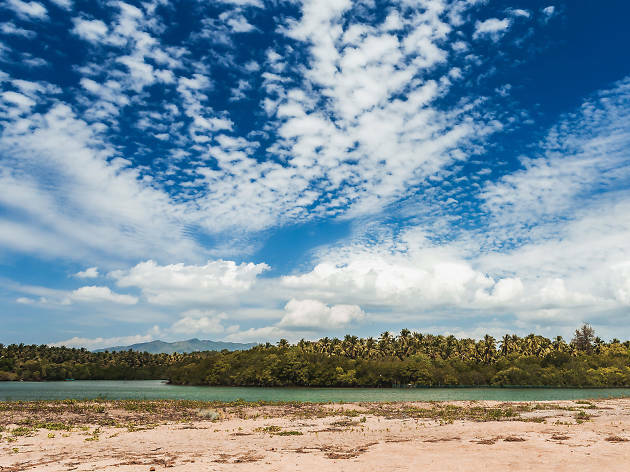 A sweeping two-kilometre stretch of glistening white sand bookended by tall coconut palms. Why go? 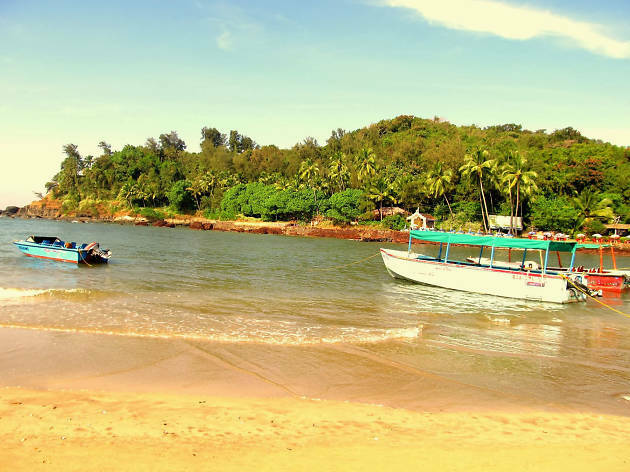 Home to quieter crowd, Palolem is ideal for lazy afternoon bathing under the sun, swimming or boating. If you’re lucky, you’ll even spot dolphins. As the night settles in, the southern end of the beach turns into an open-air club, complete with a silent disco that allows you to choose your own tunes. Keen to stay on the beach? There are temporary coco huts for that; but if comfort is your main concern, there are resorts and hotels nearby. What is it? 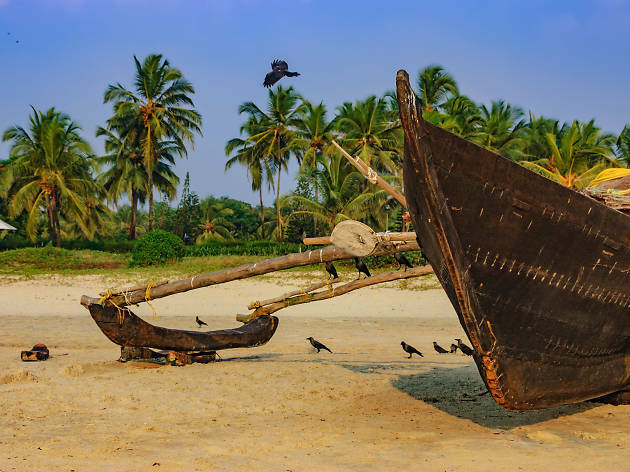 A super-relaxed stretch of sand located 15 minutes from Palolem. Why go? If you’re partied out and want a quieter atmosphere, Agonda beach should be on your list. It's a kind of place where your only priorities for the day should be sunbathing and swimming. As a bonus, its soft sands attract olive ridley turtles who come here to lay their eggs. You’re welcome to enjoy this experience, as long as you keep a distance and avoid flash photography. What is it? The northernmost beach in Goa, perfect for alternative therapies and surfing. Why go? 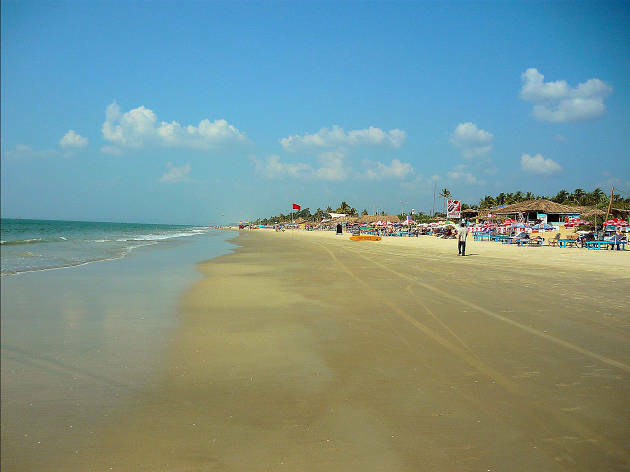 If you want to catch some waves away from the hordes, Arambol is the perfect beach destination for you. New to surfing? Check out the Surf Wala School that offers lessons of international standards. 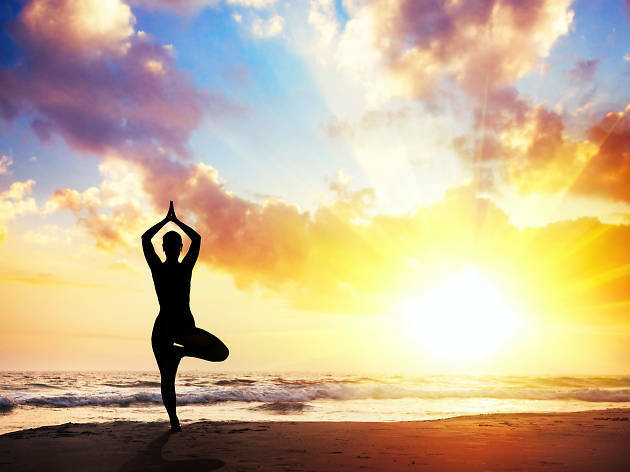 Besides surfing, you can indulge in alternative therapies like yoga, meditation, tai chi and reiki. In the evening, there are drum circles, jam sessions and live music. What is it? 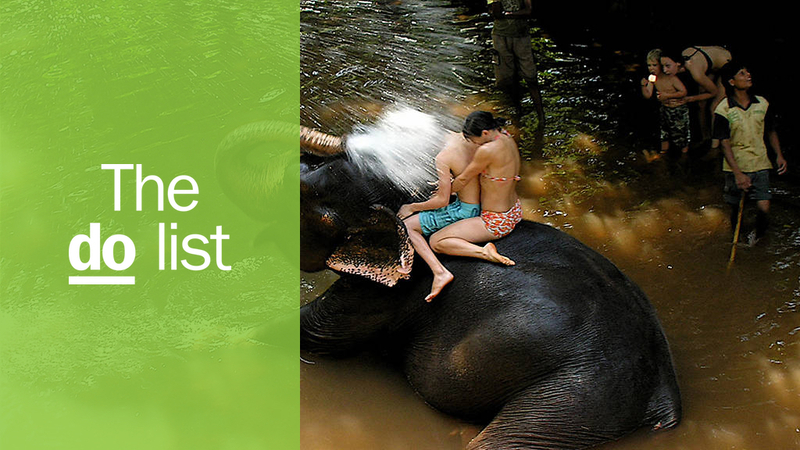 A haven for backpackers and hippies. Why go? 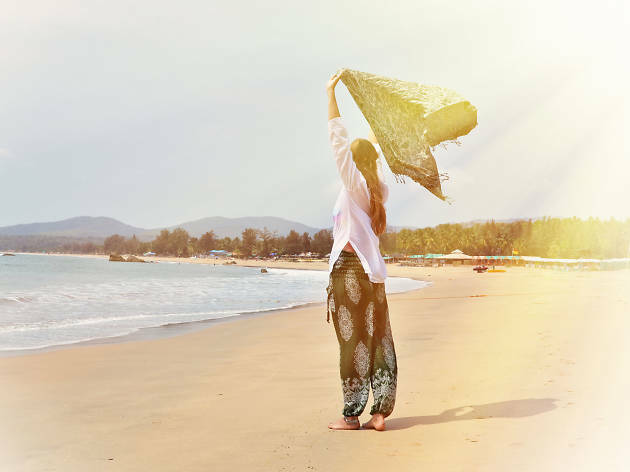 If you're looking for a bohemian beach getaway, Anjuna Beach is a great choice. By day, you can enjoy beach sports like windsurfing, parasailing, jet skiing and scuba diving; and when the sun goes down, it's party time. Psytrance music wafts out of the beachside shacks and bars like Curlies and Shiva Valley. If you're here on Wednesday, hit up the flea market for authentic souvenir shopping. What is it? A hidden gem located north of Palolem beach. Why go? Travellers in search of a secluded and romantic slice of paradise should look no further than Butterfly. 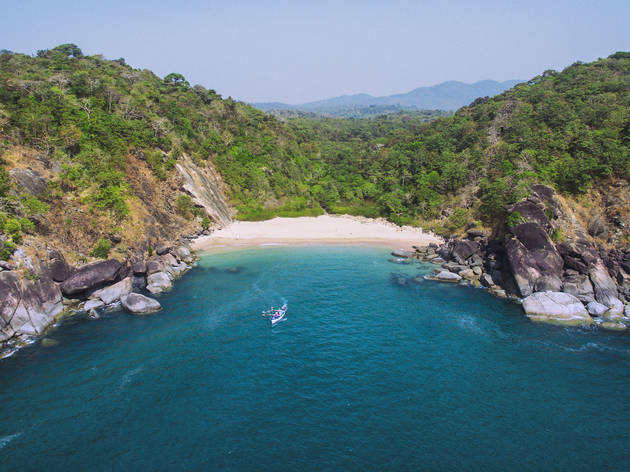 It’s slightly difficult to access – you’ll have the option of a short trek through dense forest or a boat ride from the nearby Palolem and Agonda beaches – but this just adds to its appeal. Once you’re there, flop down on the soft sand and relax, enjoy watching dolphins cavorting from the shoreline, challenge the waves canoeing or grab your binoculars for some butterfly watching. Sea cucumbers, sea urchins, goldfish and redfish lurk on the seabed, so keep an eye out. Should you get peckish, there are a couple of restaurants nearby, but we still recommend bringing enough supplies to last the day. What is it? A scenic beach that looks as though a photograph of it's vista should hang in the most distinguished of art galleries. Why go? With unrivalled views of the Arabian Sea, as well as a great helping of delicate sands and wild greenery, we'd argue that Miramar is one of the loveliest beaches in Goa. Once you’ve had your fill of swimming and sunbaking, make your way to the shoreline where you’ll find fun souvenir shops and great eateries. Wanna get romantic? Stick around for sunset to experience Miramar at its most beautiful (and to capture the perfect honeymoon pic). What is it? The ideal spot for couples and solitude-seekers. Why go? Quiet Mandream Beach – loved for its unspoiled soft white sands – is bookended by casuarina and palm trees, making it a perfect spot to spend a lazy and peaceful afternoon. Take a romantic walk with your partner, inhale the smell of trees, practice your downward dog or indulge in alternative therapies like meditation and tai chi. There are also few beach shacks where you can sample the local food while sipping on a cold beer. What is it? A great spot for bird-lovers. Why go? Morjim is teeming with different bird species; keep your eyes peeled for the kingfisher, sand plover, sandpipers, quill, cuckoo and bay-backed shrike. It’s also a great place to go dolphin-watching. 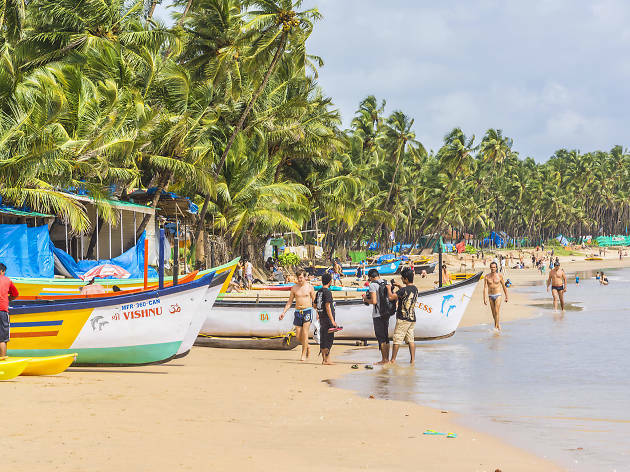 There are many shacks and restaurants on the beach; some of which are run by Russian restaurateurs, which means you can have a taste of Russian cuisine alongside Goan fare. What is it? A large and increasingly popular beach, packed with locals and tourists alike. Why go? In the peak season, Colva does get quite crowded – but that’s no surprised considering what it has to offer. We're talking vast stretches of sand, an abundance of water activities, food shacks and nearby bars that are worth dropping into. While you’re here, visit Our Lady of Merces Church, too. Also called Colva Church, it's legendary. What is it? A peaceful alternative to the adjacent Colva Beach. Why go? It’s certainly not a hidden gem, but Colva still feels secluded and relaxed. The beach boasts calm waters, family friendly restaurants and water activity, which makes it a perfect spot for a fun-filled family day out. What is it? A hub for all things water-sports (and general wet activities) as well as a pretty good spot for a beach party. Why go? If you're in favour of escaping busy crowds whilst still accessing exciting things to do, then Mobar beach is the perfect destination. It's the best of both worlds, you'll find: water skiing, parasailing, jet skiing, banana boat rides and underwater fishing, too. And that's not all – once you've finished living your aqua fantasies, get ready for a big ol' party. Yep - come evening, things here get pretty wild. What is it? Also known as Keri Beach, Querim is perfect antidote to a hectic life. Why go? It’s one of the quietest beaches in the north of Goa. 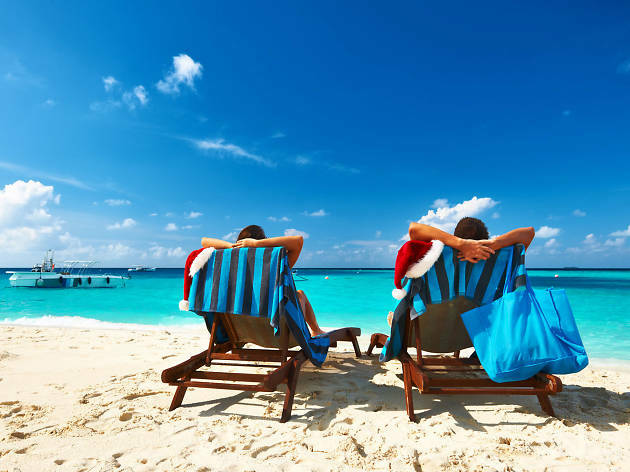 That said, the waves are quite rough here, so we recommend sticking to lazing about on the sand. 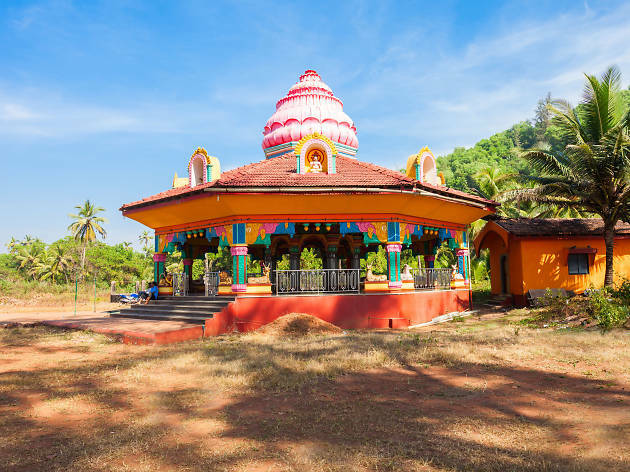 If you head a few metres inland from the beach, you’ll find an ancient Ajoba temple and the seventeenth-century Terekhol Fort, now converted into a hotel. What is it? Also referred as ‘Lovers’ Paradise’, Dona Paula is best for Instagram-ready sunsets. Why go? 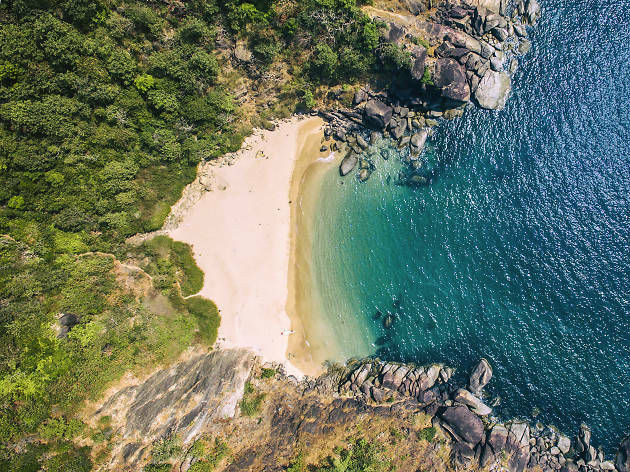 If a lovely stretch of soft sand lapped by calm waters and shielded by palm trees isn’t reason enough to visit Dona Paula, then the mesmerizing view of the sun setting over the shore in the evening should be. 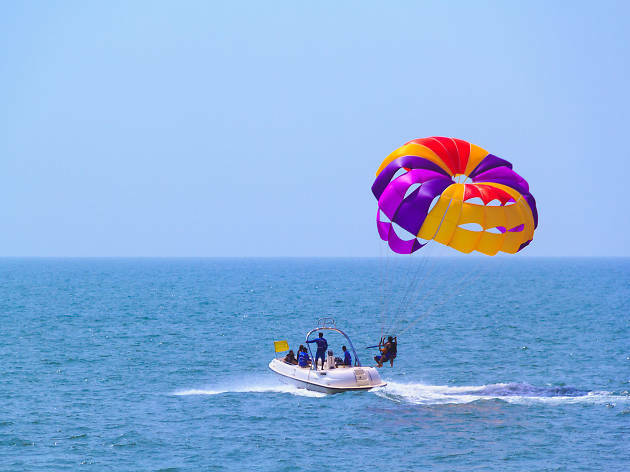 If you’re feeling adventurous, you can also get your heart facing with windsurfing, kayaking, water skiing, parasailing and motorboat rides. What is it? One of the cleanest beaches in India, which also serves as a nesting place for olive ridley sea turtles. Why go? Unmarred by commercialisation or tourist hordes, Galgibaga rewards visitors with clear waters, silver sands, swaying coconut palm trees and a peaceful vibe. A word of caution, though: there aren’t any restaurants or shacks in sight, so pack some snacks and water to last the day. If you time your visit between December and February, you might witness a large congregation of pretty olive ridley sea turtles. What is it? Vagator is divided into two small beaches by a headland – North or Big Vagator to the right of the beach facing the sea; and Ozran or Little Vagator beach to the left. Why go? Located minutes away from the happening Anjuna Beach, Vagator isn’t as crowded, which makes it a perfect place to sit back and relax. You’ll find beach shacks, restaurants and shops just footsteps from the waves. 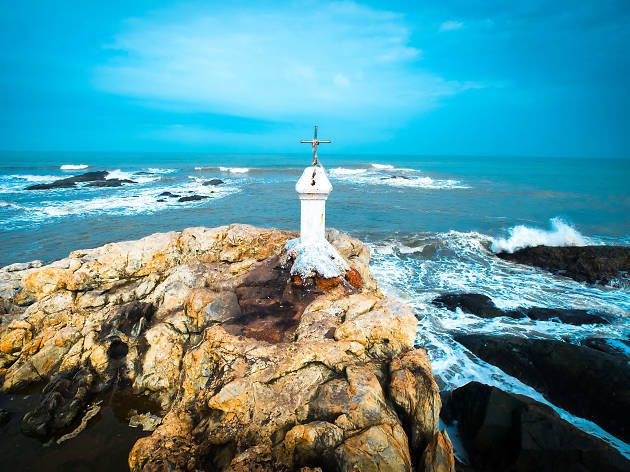 At the end of the beach, you’ll find the face of Hindu deity Lord Shiva carved into a seaside boulder. Once you’re there, walk an extra mile to visit the historic Chapora Fort, too. If you’re a party person, Vagator won’t disappoint as trance parties are held here often at bars and nightclubs like Disco Valley, Hill Top and the Mango Tree. Ready to explore more of Goa? 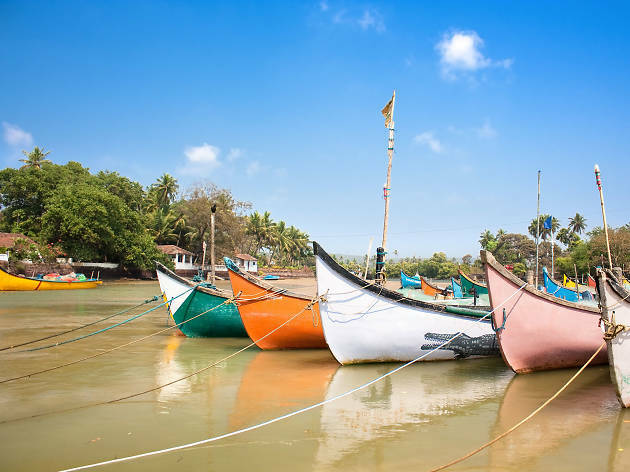 Goa has a distinct, laid-back vibe that pairs well with its sprawling beaches, buzzing bazaars and legendary nightlife. Whether you’re looking to party for days on a beach, read in a solitary hammock or eat India’s finest seafood, Goa is the place to be.